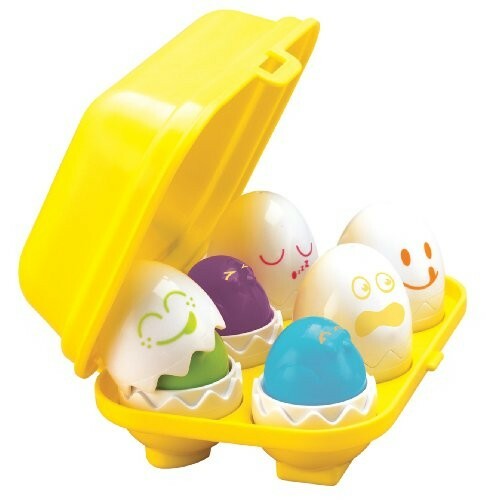 Hide & Squeak Eggs by Tomy. Crack em open to reveal brightly coloured press & cheep chicks. A shape sorting activity matching the eggs to the correct shaped hole in box. Encourages play & early development skills.